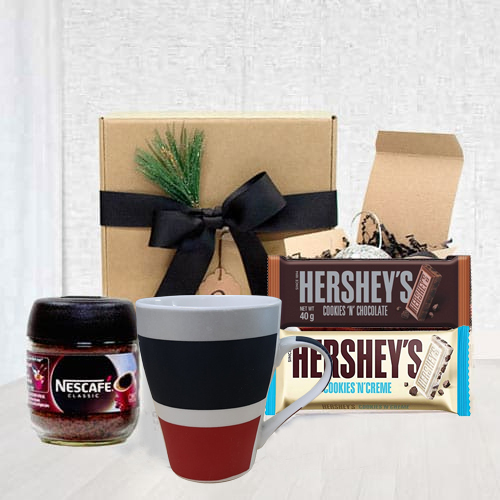 Present this Coffee Time Gift Basket for loving Dad to the people you love and paint a happy picture in their hearts. This delicious coffee time treat is loaded with finest selection of Starbuck Coffee Mug, Nescafe Coffee Powder, Hersheys Cookies N Cream Bar and Hersheys Cookies N Chocolate. These whole items are presented wonderfully in a box.